In exchange for food, water, shelter, a pat on the head and the occasional bone, dogs have long served and defended us. Now, through research begun sixteen years ago at the Auburn University College of Veterinary Medicine, a single dog can defend an entire arena or an airport terminal from a potential attack. Explosive-detecting dogs are a common sight at train stations, sports arenas and on city streets, patrolling with their police partners. These expert sniffers search baggage and people for contraband or bombs. Others have been trained to find bed bugs in hotel rooms and pythons in the Everglades, but when countries or companies need the most effective way to protect large crowds from would-be terrorists, they ask for “the Auburn Dog.” These canines are properly called Vapor Wake® dogs, and their training process is scientifically-based and so highly developed that Auburn was granted a patent for it in 2015. 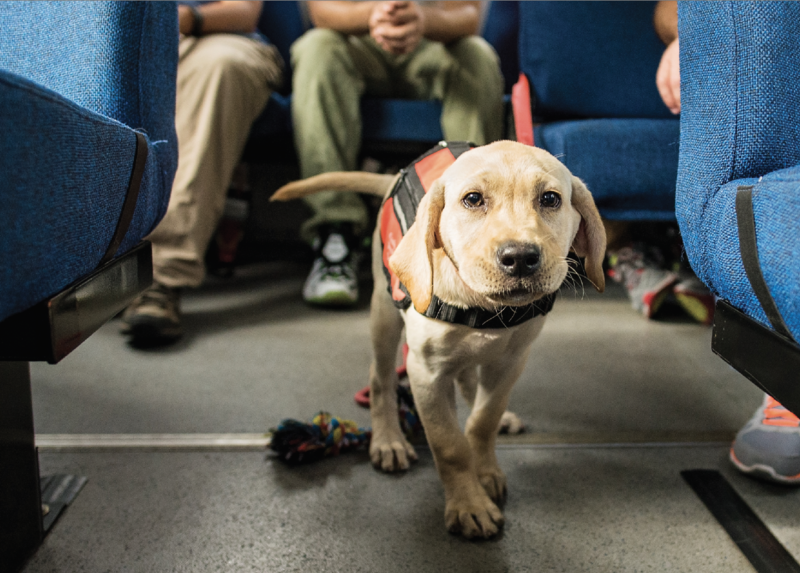 Traditional detector dogs are led by their handlers to inspect suspicious items or screen passengers, but Vapor Wake dogs walk behind or through a crowd of people, checking the air for tell-tale whiffs of dangerous chemicals. that people in motion leave a thermal ‘plume’ in their trail, much like the wake a boat leaves as it speeds along the water. This heat signature is invisible to the naked eye, but can be seen through Schlieren photography. Even though this plume effect remains inches from the body, the odor and particles coming off the person are sucked into the wake created by forward motion. Bombs release particulates that are denser than air, and traces of it are caught in a culprit’s heat signature plume and broadcast behind him. When a Vapor Wake dog catches that targeted scent, it will track that odor until the source of it is identified. Then the authorities step in. Dogs are naturally great detectors. They experience scents similar to the way we see color. With up to 300 million olfactory receptors to our only 6 million, it is through their noses that dogs truly see the world. The portion of their brain dedicated to their sense of smell is almost 40 times greater than our own, enabling them to separate bouquets of aromas into individual scents, no matter how nuanced. Their nostrils operate independently, enabling them to determine the direction of an odor via intricate, chamber-laden structures that help them detect scents in parts per trillion. 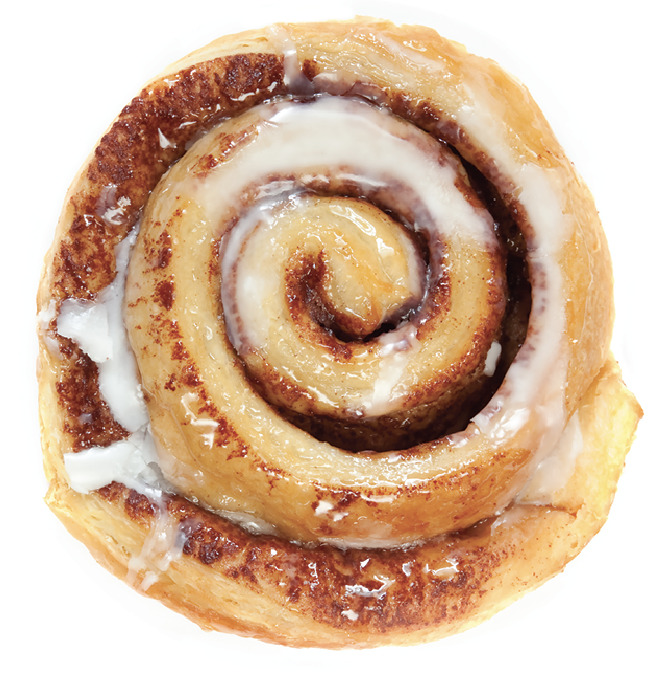 Imagine being in a room with the scent of a single cinnamon roll wafting around; to a dog it smells like one trillion cinnamon rolls. Dogs were first used for detection in WWII to find tripwires and mines, but by the 1970s they were regularly deployed to find drugs and explosives. There was (and still is) no question that a dog’s nose was the best way to root out this kind of trouble, but searches of stationary items and individuals were limited. For an explosive-detecting dog to catch bombers, handlers had to predict who might be a bomber and where bombs might be placed—then steer the dog to that “productive area” to confirm or negate their suspicions. In 2001, this gap in protection became clear to security agencies when the “Shoe Bomber” Richard Reid attempted to blow up a plane on route from Paris to Miami by igniting explosives secreted into the soles of his shoes. Fortunately, passengers subdued Reid and prevented a tragedy, but this near-miss prompted the Transportation Security Administration to investigate new ways to detect explosives, especially those in transit. The next year, Auburn began research and development of the Vapor Wake dogs. By 2004 the first Vapor Wake dogs were produced; by 2010, they were being used by Amtrak Police and U.S. Capitol Police. Around this same time, a study by the Pentagon was published showing that the use of trained canines to locate Improvised Explosive Devices (IEDs) vastly improved the military’s ability to find bombs—an 80% success rate. Detector dogs are now commonplace on transit systems and police squads. Use of the dogs is promoted prior to large gatherings, such as the Macy’s Thanksgiving Day parade, because people feel more secure going to those types of events knowing that part of a venue’s safety plan is detector dogs. Auburn’s commercial partner in producing and training Vapor Wake dogs is VWK9. Their training center is in Anniston, Alabama on the grounds of what once was Fort McClellan. Orange, blue and white Formica tiles line its office floors in every direction—a nod to their ties to Auburn. John Pearce, one of the principals with Vapor Wake since 2002, came to Auburn from TSA where he was Branch Chief for their canine program; prior to that, Pearce was superintendent of the Air Force’s canine operations. One of the other principals and president of Vapor Wake, Paul Hammond, also has years of military experience with canines and served in hostile environments alongside dogs searching for live explosives. Both Pearce, Waggoner and several other Auburn staff were instrumental in the development of Auburn’s patented training program. Their extensive experience with detector dogs gave them a full understanding of the security flaws inherent in stationary searches. They were certain they could develop dogs that could find bombs in transit, as Waggoner had envisioned, but first they needed the right dog for the job. They wanted a dog that looked friendly to keep people from swerving away from check points. Parents with small children often steer away from pointy-eared dogs that appear threatening, but floppy-eared ones look approachable. Another consideration was that Vapor Wake dogs require substantial time and financial investment, so the preferred dog needed to be an overall healthy breed, yet still possess the right nose and an innate drive to hunt. Labradors became their breed of choice. It ranks high in tracking capabilities, and as the number one domestic pet in the US, UK and Europe, it is easily accepted by the public. To get the right mix of Lab for health and hunting, the team started with Labradors that were selectively bred by the Australian Customs Service with the assistance of Queensland University (strong frame and good health) with their American counterpart (highly developed hunters.) Throughout this selective breeding process, Auburn and VWK9 created methods to test the dogs’ traits, assuring they were developing positive attributes and not negative ones. About 60 dogs per year are bred on Auburn’s campus. Canine Performance Sciences then socialize the puppies until the age of 6 months when the dogs enter a prisoner-canine program developed by Auburn. 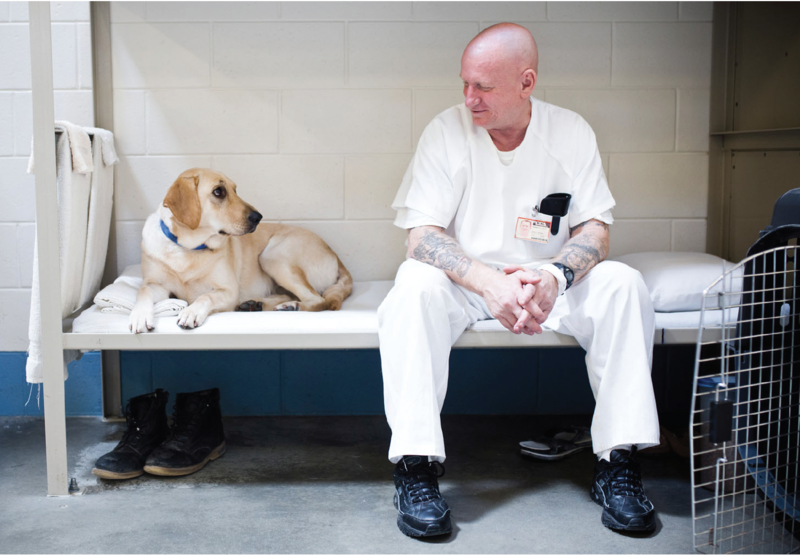 Inmates can observe the dogs 24/7 and are taught to reinforce the dogs’ track-and-reward behavior for being successfully trained as detector dogs. This one-on-one attention the dogs receive has increased their success rate of placement into service from 45% to over 80%. At early stages in their life, the dogs are acclimatized to crowds and noisy public places. They also are introduced to different floor types, so they will know how those feel under paw. All the while, they are being rewarded for tracking. Their prize? Tennis balls. When the dogs are about a year old, they step onto the Anniston campus and their training shifts to more specialized bomb-detecting scenarios. Cars, buses and tractor-trailer trucks dot the campus, so dogs train as if they are in real-world situations. Some of those vehicles have been retrofitted to eject a tennis ball when a dog successfully identifies the presence of a bomb or gun. This keeps the dog true to the reward and to not rely on a handler as the source of their reward. The Vapor Wake training ground also has small buildings adapted to teach and test the dogs in everyday situations. Rooms in those buildings can be reconfigured to simulate specific locations the dog might encounter in its future deployment. The entire campus is designed to keep the dog focused on finding specific scents—and always interested in that little round prize. Vapor Wake dogs are also trained in standard static detection. With a change from harness to collar, these dogs know to shift from inspecting vapor trails to screening stationary items. Some dogs are trained to search only for bombs, but if a client needs dogs to detect weapons, they can be taught to sniff out gun metal, gun oils, carbon or bullets. These “mobile sensor platforms,” as Hammond describes them, are versatile and non-obtrusive. “They don’t impede the flow of crowds, and unlike traditional explosive-detecting dogs, a crowd does not diminish their ability to distinguish a scent.” They also aren’t easily distracted; once they detect a targeted odor, they are laser-focused on finding the source. Prior to the start of the 2013 Boston Marathon, eleven well-trained detector dogs were used to hunt for explosives along the route and at the finish line. However, the deadly devices that exploded at that race were introduced long after those searches were conducted so there were no explosives for those dogs to detect. After this tragedy, more municipalities and law enforcement agencies understood the need to support their current canine detector programs with Vapor Wake dogs. The New York City police force has fifteen Auburn Dogs who were part of the team that secured last year’s Times Square on New Year’s Eve. The frequency of attacks like the one in Paris, or the horrific bombing at the Ariana Grande concert in Manchester, UK has prompted a surge of interest in Vapor Wake dogs. The dogs were recently featured in Rolling Stone, Wired magazine and on CNN, but scientists in Auburn’s Canine Performance Sciences program aren’t resting. Every step in the development of Vapor Wake dogs is regularly reassessed and measured. manmade and natural. Military partners still rely on dogs trained to detect IEDs, but chemical agents are a rising concern. Species that are being poached or threatened with extinction can be located by detector dogs and protected. Churches, concert promoters and companies have secured Vapor Wake dogs to protect their parishioners, audiences and employees. What’s the future for detector dogs? 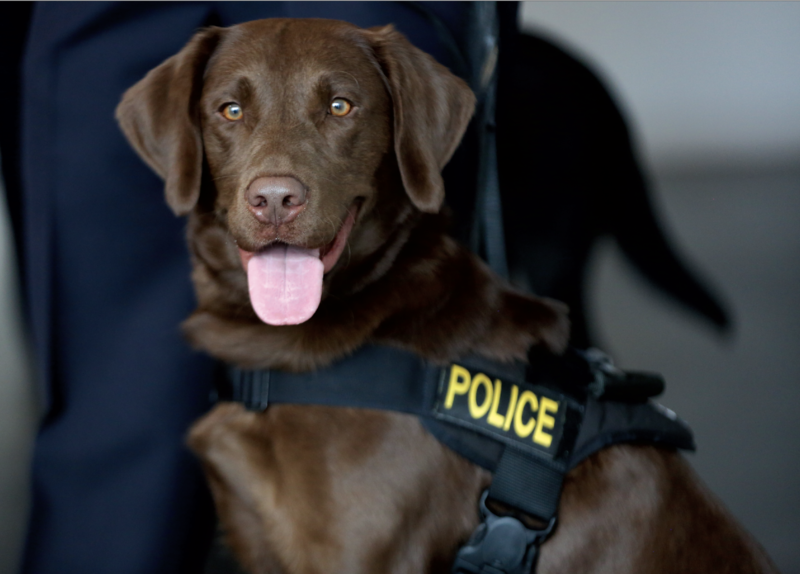 Hammond recommends security specialists employ every tool in their toolboxes to keep people safe—including deployment of Vapor Wake dogs in addition to standard explosive detecting dogs. Waggoner and his team are conducting a comprehensive study using MRI scans of dogs to understand how their brains work with their olfactory systems to become such expert detectors. 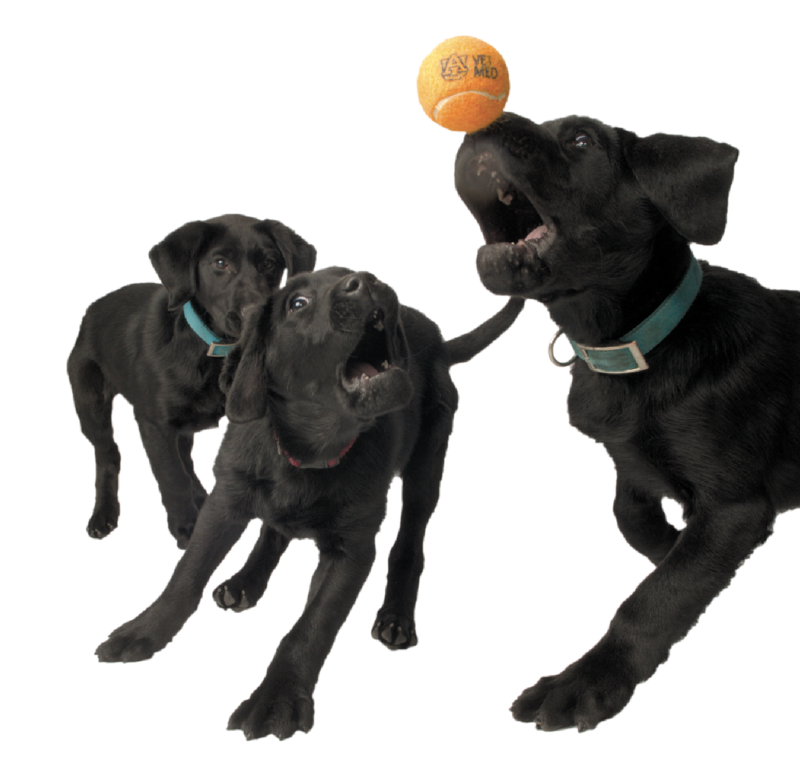 Charting the genetic structure of the Auburn Dog colony may help unlock that answer, so it is Canine Performance Sciences’ goal to map the performance and behavior traits to the genomes of the Auburn Dog, starting with the whole-genome sequencing of a black lab named Jason5. There is much ground to cover before that DNA sequencing can occur, but Dr. Xu Wang, an Assistant Professor of Comparative Genomics in Animal Health with Auburn’s College of Veterinary Medicine, has brought his genomic expertise to the task. Wang was part of a team that profiled the genetic structure of a colony of silver foxes in Siberia that, for over 50 generations, were selectively bred for tameness or aggression. Being able to drill down to the exact genetic markers needed will aid the breeding program for Vapor Wake dogs and, perhaps, finally solve the mystery of how a dog’s nose and brain work in concert to detect and track an odor. That discovery may someday lead to the creation of a machine that mimics a dog’s olfaction and cognitive process, but for now, nothing comes close to the incredible ability of a dog’s nose. 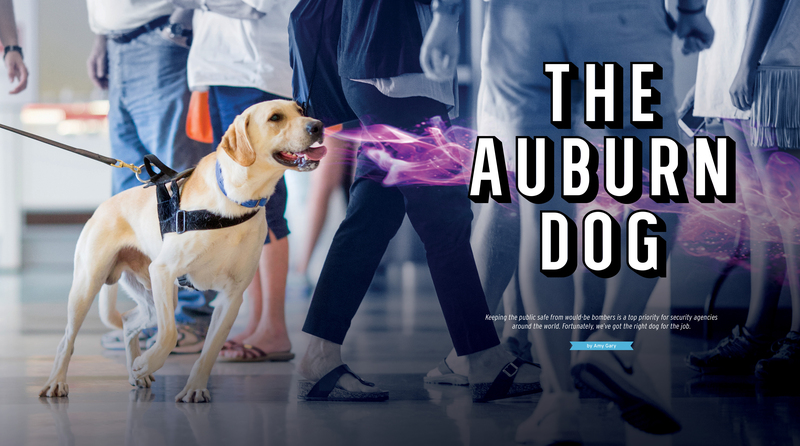 Detector dogs remain the gold standard for screening luggage, cargo, passengers and crowds, and leading that pack is the Auburn Dog.